Circa 1908. Encounter resplendent grandeur at this Edwardian mansion, built for the renown John D. Spreckels and now a historic landmark. Major restoration has preserved many of the original light fixtures, sconces and chandeliers, brass banisters, marble stairs, copper-clad glass doors, hardwood floors and ornate woodwork. 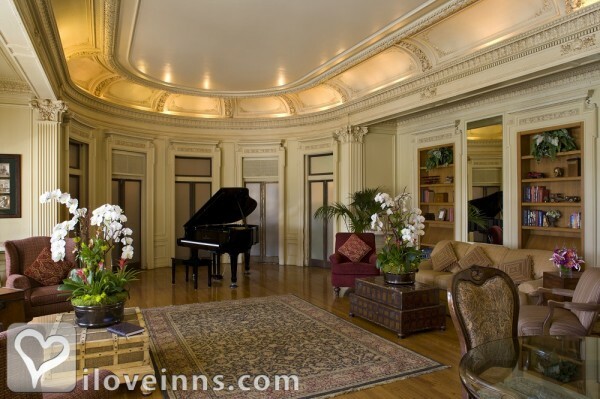 The Music Room boasts a baby grand player piano, guest library and board games. Thoughtful modernization of suites and guest bedrooms includes heat and air conditioning, high-speed Internet access, voicemail, cable TV and spa. A generous continental breakfast buffet is served in the Verandah Room. The swimming pool is a popular gathering place and afternoon refreshments are enjoyed on the patio. Enjoy a docent-led walking tour of the island on Tuesdays, Thursdays and Saturdays. Payment Types Accepted Include Visa, Travelers Checks, Master Card, Discover, American Express and Diners Club. This property has 15 total guest accommodations, 100 with private bath, 1 with hot tub, 19 suites. The entire third floor of the mansion is yours. Take the original two-person brass cage elevator to the suite and enjoy 1,000 square feet of space. 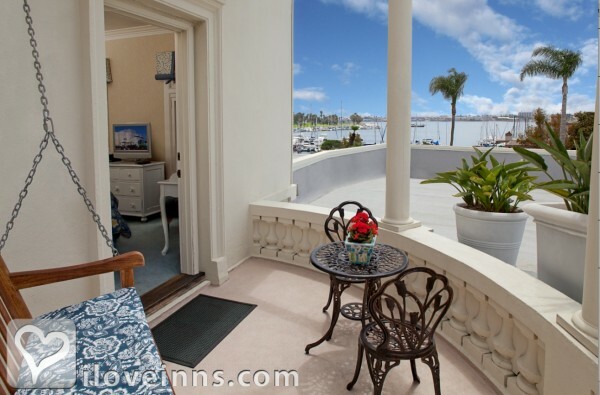 A large picture window provides some of the best views from the bay and the island. French Doors lead to a large private deck with outdoor table and Chaise Lounges. 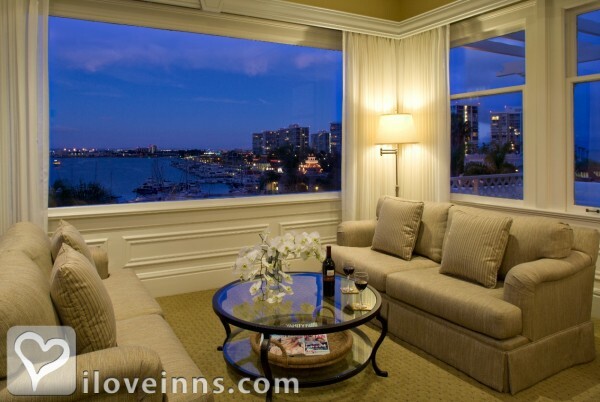 This comfortable and beautiful room features a peek at the dramatic-looking Coronado Bay Bridge. 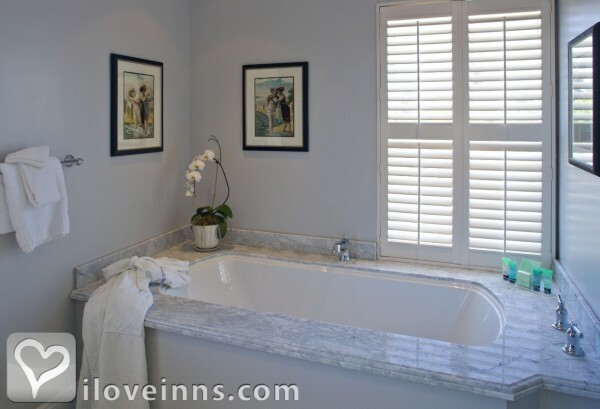 Its private bath retains the original skylight, and the room features a huge walk-in closet and two queen beds. 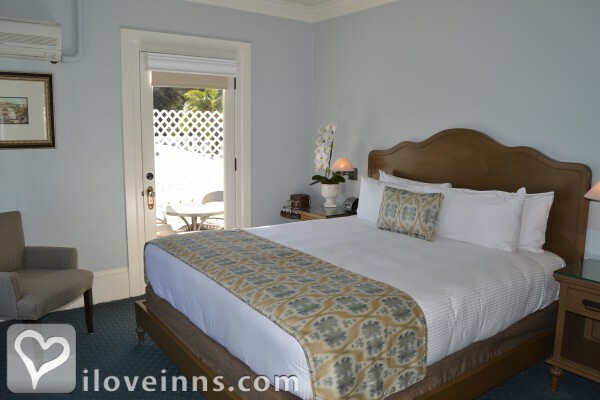 Originally the private bedroom of John D. Spreckels, this beautiful room has a living room area with a separate bedroom with a king size bed. French doors off the living room open up to a private patio with a spectacular view of Glorietta Bay. With French doors that open onto a balcony with a porch swing for two and a view of the bay, this room is the ideal place to watch a sunset. The Sunset Room features a seaside motif and a king bed. "Romantic," with its king bed dressed in muted red and green tones, fully describes this lovely guest room. The rose print is carried through to the bathroom which houses one of the mansion's original skylights. Named for the yacht John D. Spreckels sailed into town on, the spacious Lurline Room features tall ceilings, decorative earth tones and original molding. This king-bedded guest room has a "grand" feel. High ceilings, original hard-carved travertine fireplace and crown molding, make this spacious first-floor king-bedded room extra special. With its own private entrance at the back of the mansion, this opulent suite is perfect for a romantic getaway. 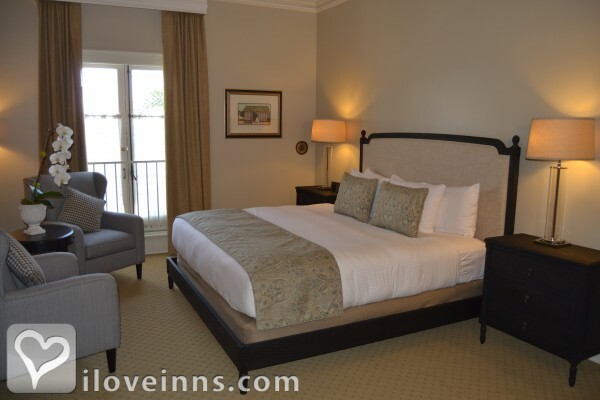 The largest of our mansion rooms, the Garden Suite features a patio with a fountain, a king bed, the original butler's kitchen, and a comfortable sitting area. This spacious and cheery room features many windows and brand new furnishings. With its two queen beds, lounge and dinette area, this room is simply delightful. The sun-filled bedroom named for John D. Spreckels' daughter is decorated in beautiful colors and carries a garden theme. 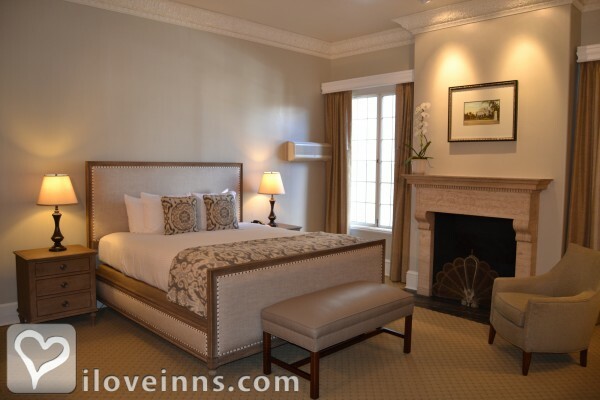 This king-bedded room also features a sitting room next to the bedroom. Located in the buildings surrounding the Mansion. 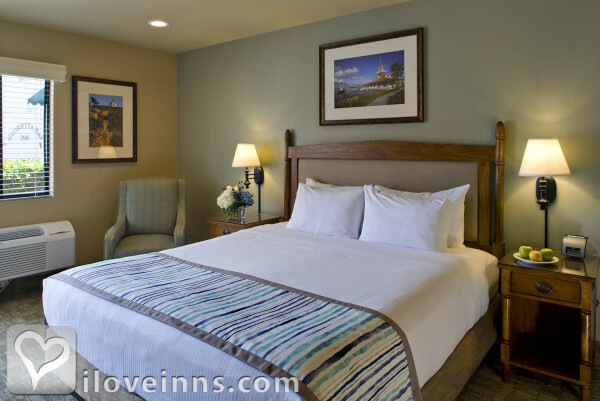 All of these guestrooms offer high-quality, reasonably-priced accommodations. 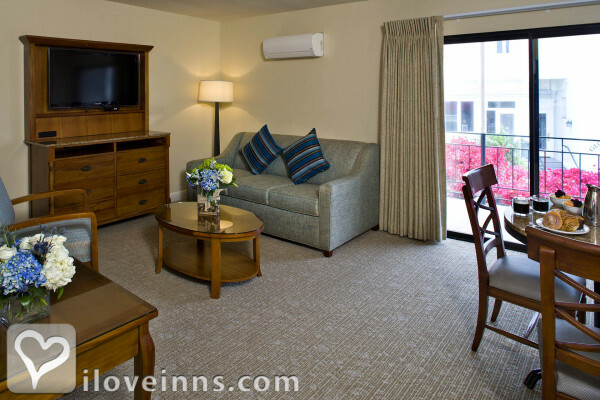 All rooms feature small refrigerators, safes, irons, hair dryers, and DVD and CD players. Our spacious suites offer our guests fully equipped kitchens and are a perfect choice for families and extended stays. King beds and sofa beds are featured. Two-bedroom, two-bath suites with a kitchenette are also available. 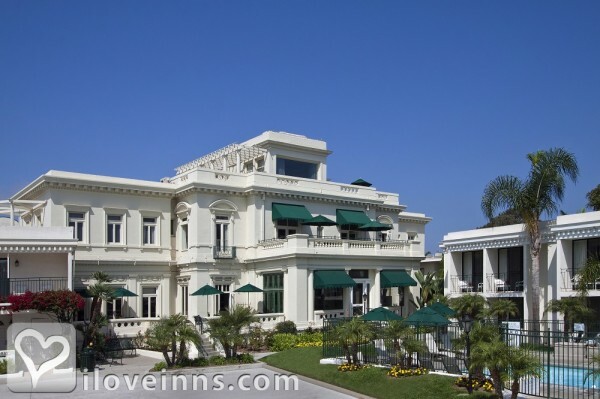 In 1906, Spreckels, 53, contracted Architect Harrison Albright to design and build the Mansion. 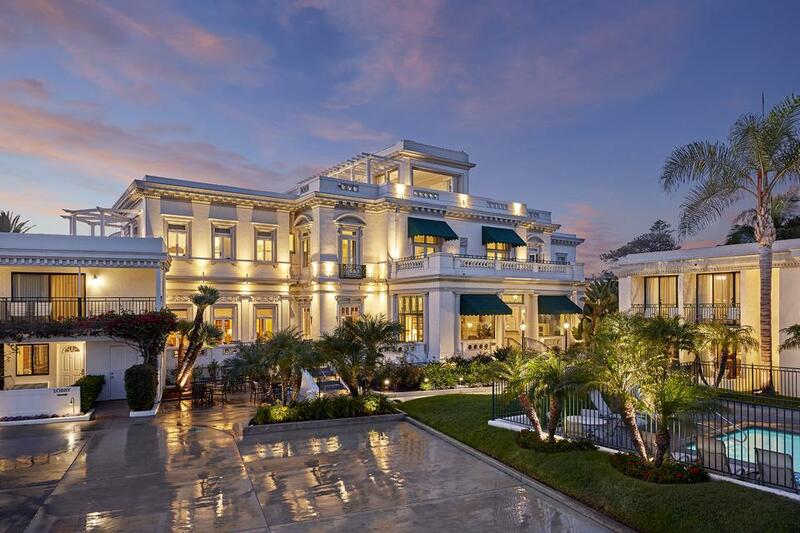 The building, designed with the simple, classic lines of Italian Renaissance, was complete in 1908 with six bedrooms, three baths, a parlor, dining room and library at the cost of $35,000. At that time, Spreckels' Mansion featured a brass cage elevator, a marble staircase with leather-padded handrails, skylights, marble floors and some of the Island's most spectacular gardens. The home was built with reinforced steel and concrete, an earthquake precaution Spreckels insisted upon after living through the 1906 San Francisco earthquake. 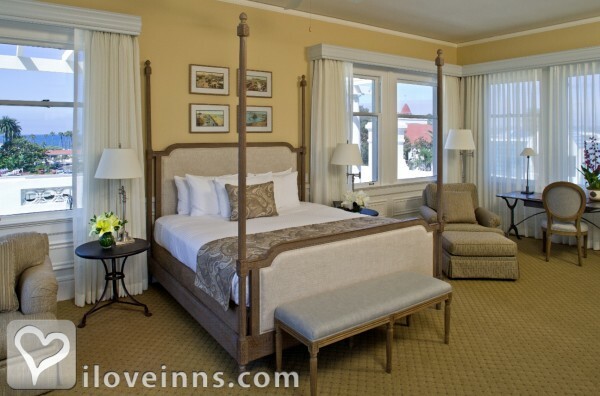 THE NEW YORK TIMES�- Called the Inn "charming." This property is just lovely and perfectly located right across from the Del Hotel and one block from the infamous Boat House Restaurant. Glorietta Bay has a wonderful staff that attended to every request with urgency and a smile. They even came to our room to open a particularly difficult bottle of wine! The Continental breakfast in "the mansion" was plentiful and the seating (both indoors and outdoors on the terrace) gave you opportunities to eat alone or mingle with other guests. The property is clean and well maintained. I'd recommend it to singles, couples and families with children. Their pool was active with little ones having a blast. Thank you to Claudia and her team for a wonderful weekend! 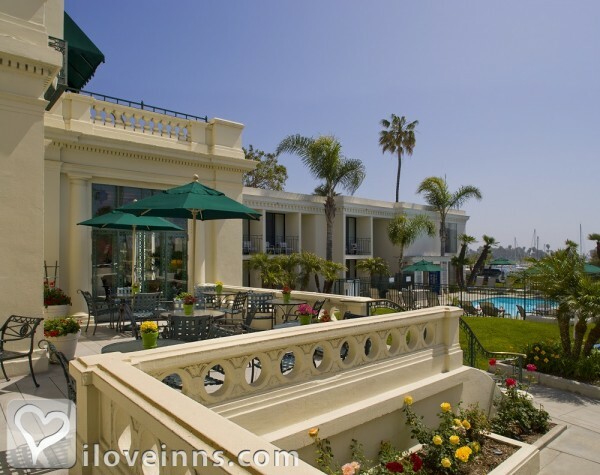 The Coronado Boat House Restaurant has changed it's name to the 1887 On The Bay. I highly recommend their Happy Hour which boasts all of the great appetizers at a discount, along with fabulous cocktails and a view you can't beat from their second level. It is less than a block from the hotel and an easy walk. Had a wonderful weekend stay at this delightful inn! 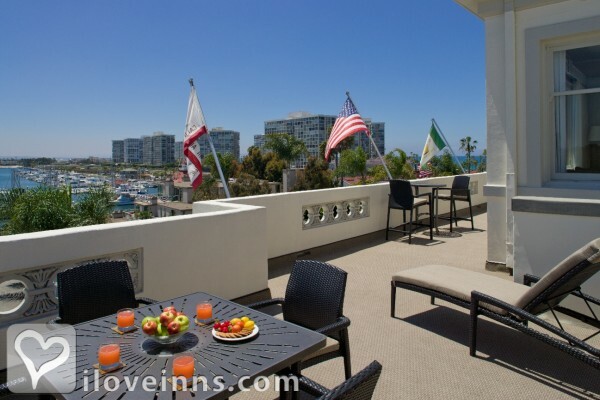 Located across the street from The Del and within walking distance of several great restaurants, this was the perfect getaway! The service, as always, was amazing. Kudos to the entire management team (Claudia, Mike & Tim) for making us so comfortable and accommodating my mom who needed a handicap-accessible room. The complimentary breakfast and welcome bottle of wine made the visit exceptional. I'll be visiting again. New York Times, Los Angeles Times, Home and Garden TV, Travel Channel.